The 24th Inter International Swimming Championships was held at the Sugathadasa Swimming Pool Complex on the 10th and 11th of November 2018. Qualfied Times – Students who swim with a timing lower than the Qualified Times will be awarded certificates. the 4th and 5th of November 2017. The 20th Inter International Swimming Championships was worked off at the Sugathadasa Swimming Pool Complex on the 15th and 16th November 2014. 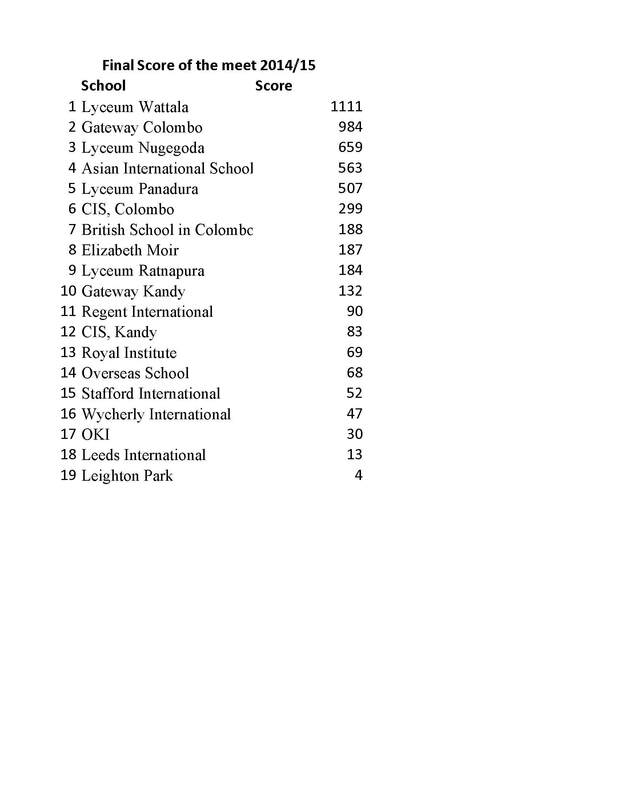 Lyceum Wattala won the 2014/15 Championships with a score of 111. They were followed by Gateway Colombo (984), Lyceum Nugegoda (659) and AIS (563) respectively. Click here for the complete results of the event. Click here for the new records set this year. Click here for the Final Score sheet. Welcome to the Inter International Schools Swimming Championships (IISSC) 2014. The championships was held on Nov 23-24 @ the Sugathadasa Stadium. 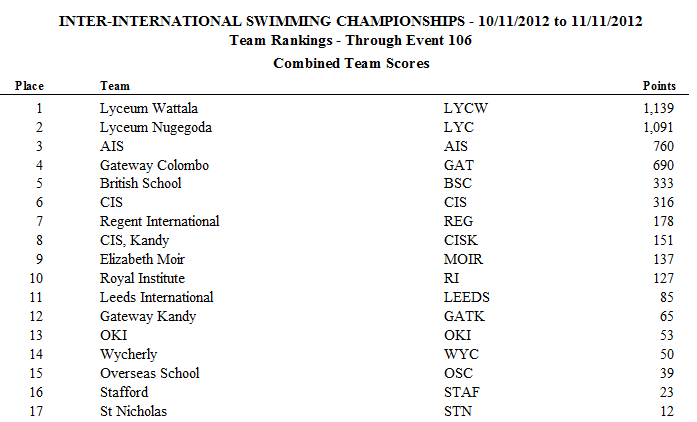 Lyceum Wattala won the 2014 Championships with a score of 900. They were followed by Gateway Colombo (878), Lyceum Nugegoda (741) and AIS (706) respectively.